Amazing views from Sunset Perch. 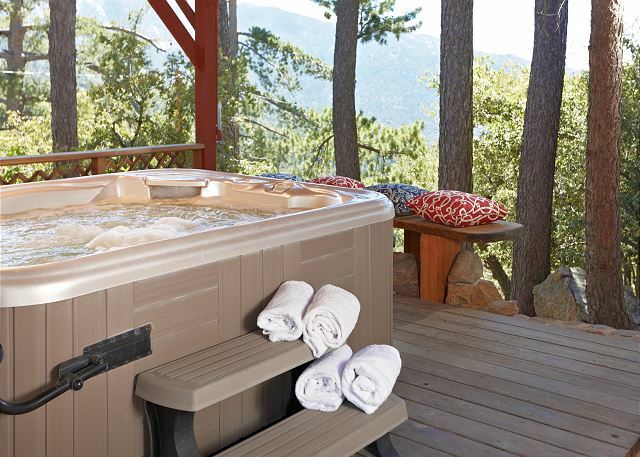 Large hot tub with awesome views. Living room and dining room area. Living room with large fireplace and organ piano. Living room has amazing views. Kitchen has all the essentials. 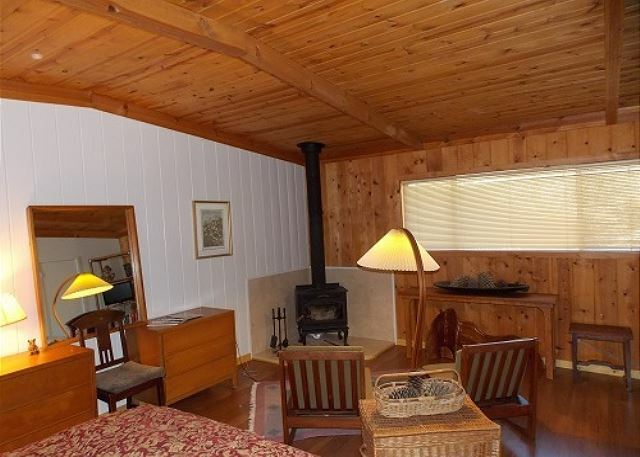 Master bedroom has stove fireplace and sitting area. Sitting area in master bedroom. 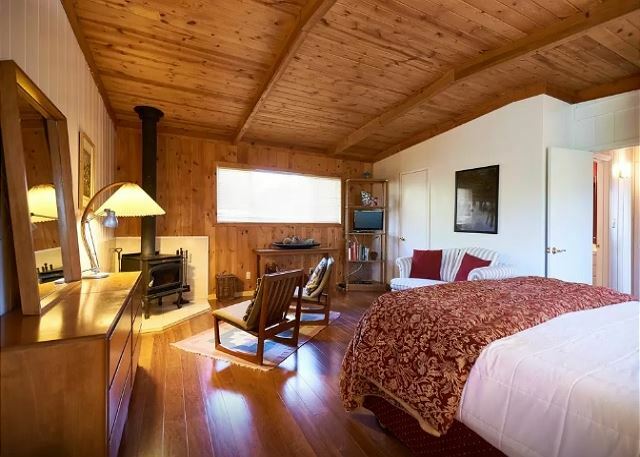 Master bedroom has it's own fireplace and seating area. two twin beds in loft. 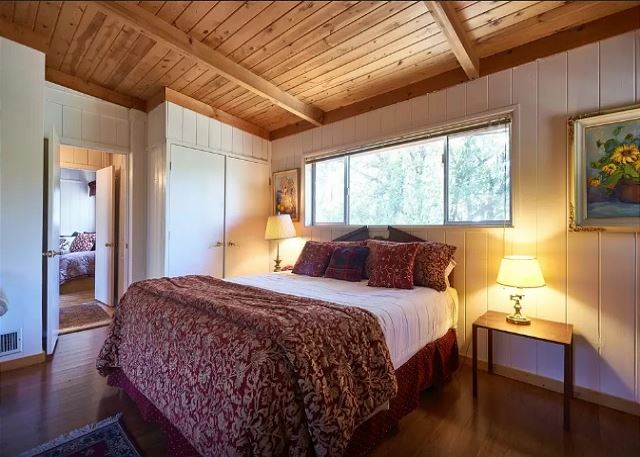 Detached bedroom with a queen sized bed and one twin. Detached bedroom has queen bed and one single bed. 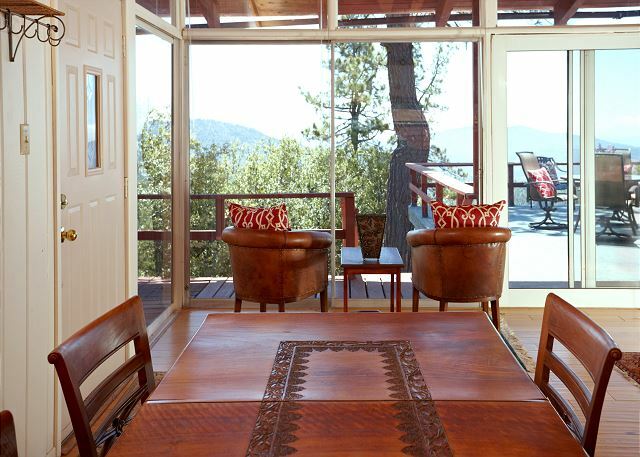 Deck with outdoor seating and wonderful views. Welcome to Sunset Perch! 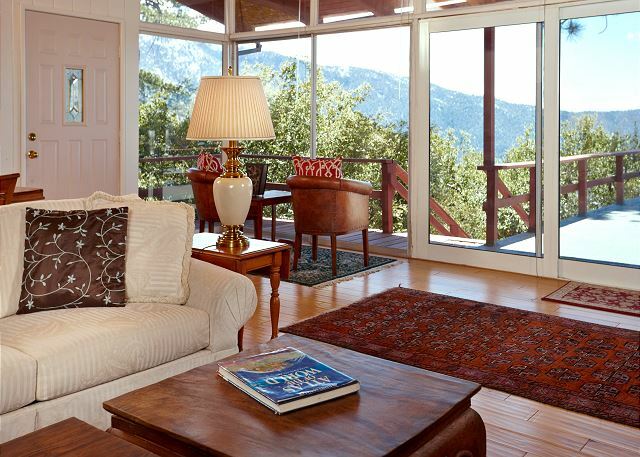 This hidden gem is named for the gorgeous mountain views that surround the property. 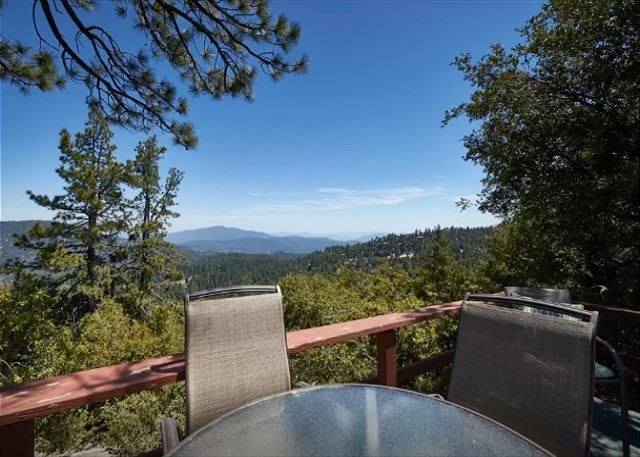 This property is perfect for groups of 8-10 who want a peaceful and private getaway with some of the most amazing views on the entire mountain! Once you walk into the home, you will feel welcomed by the home’s open and spacious floor plan. The home’s floor-to-ceiling windows bring the serene outdoor backdrop inside the home. 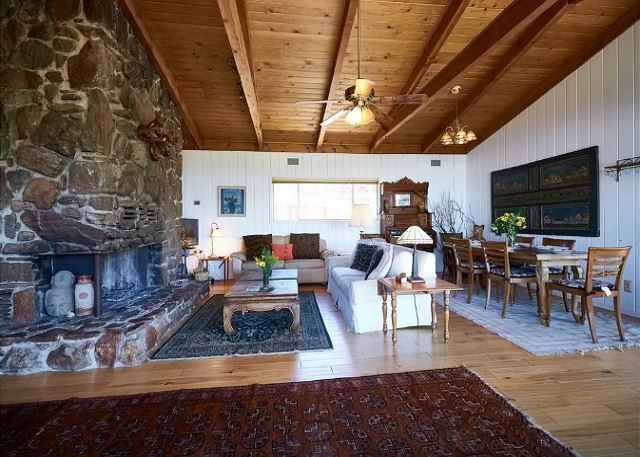 The home’s living room has a large peninsula styled fireplace. 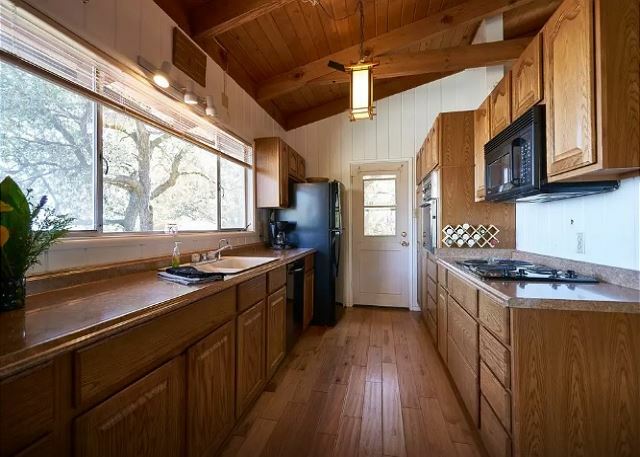 The kitchen has plenty of counter space and all the essentials one could need to cook an awesome dinner. Enjoy a wonderful dinner at the dining, which seats up to 10 guests. 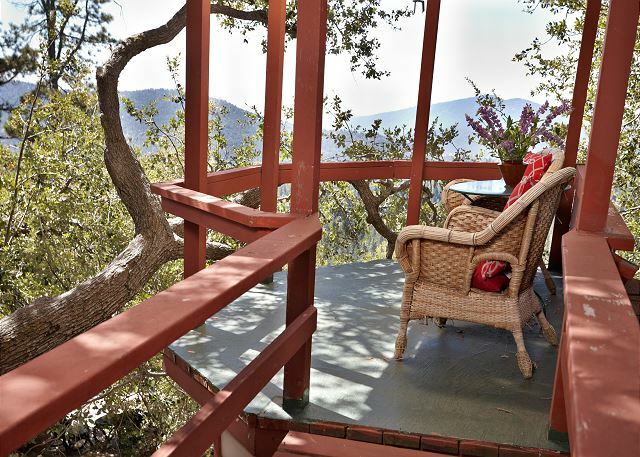 The home’s star feature is it’s large spacious deck. 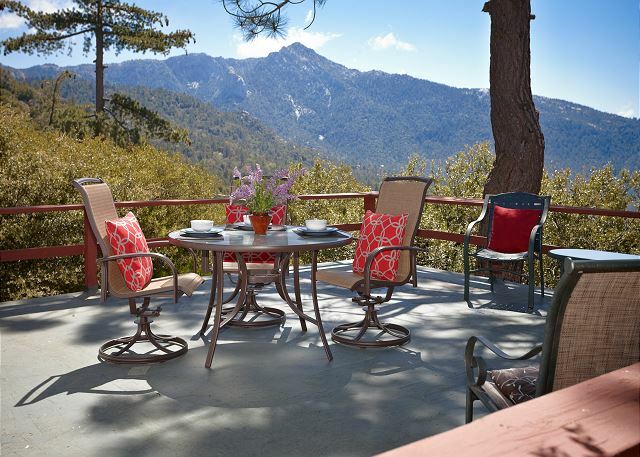 The deck has beautiful panoramic views of the San Jacinto mountains. The home has ample outdoor seating for dining as well as leisure. 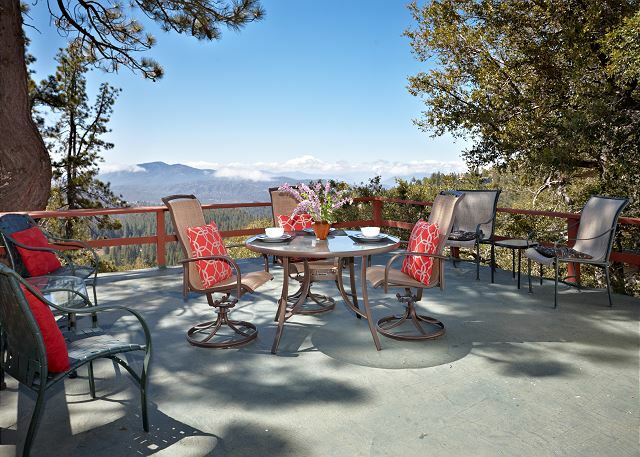 Hang out on the deck and enjoy the view while you’re cooking up some delicious food on the BBQ! 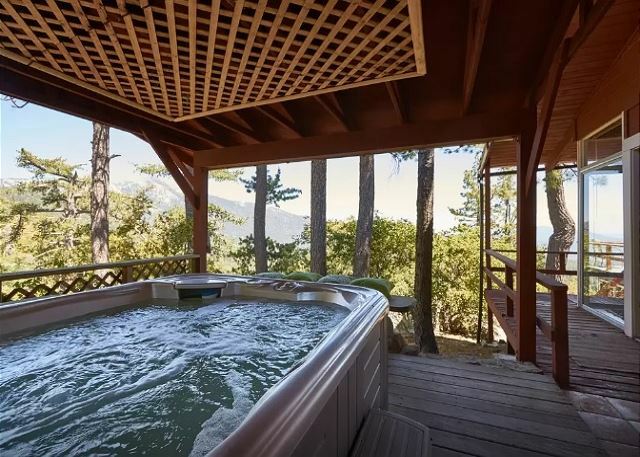 The home also has a private spa, which is great to use throughout the seasons. The home sleeps 8-10 guests. Up on the main floor there is the master bedroom with a king sized bed and a single sized pullout couch. 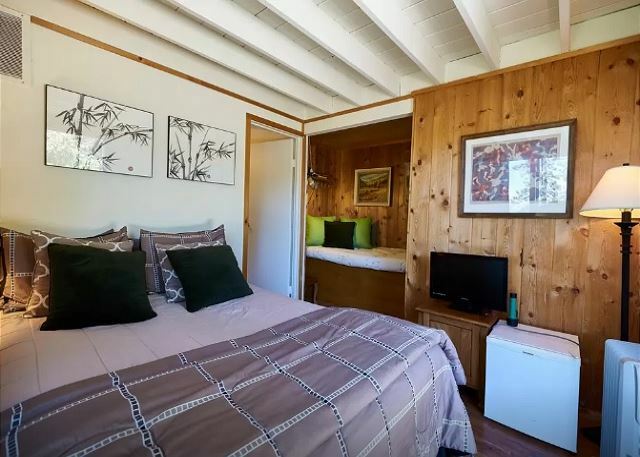 On the main floor there is also an open den area with two twin beds. 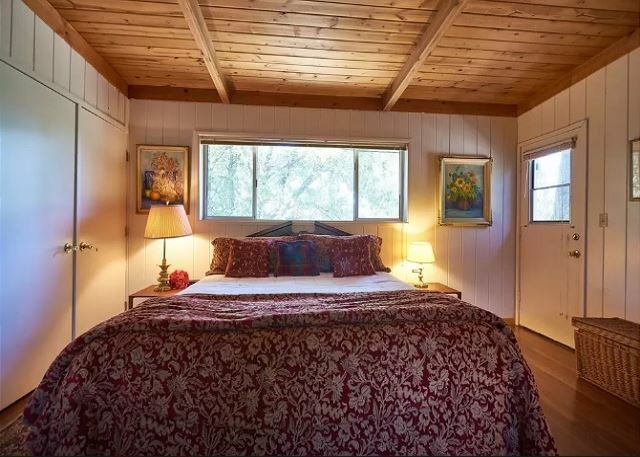 There is an additional bedroom that is detached from the main house with a queen sized bed as well as a single bed and it’s own private bathroom. An air mattress can also be provided to accommodate 10 guests. 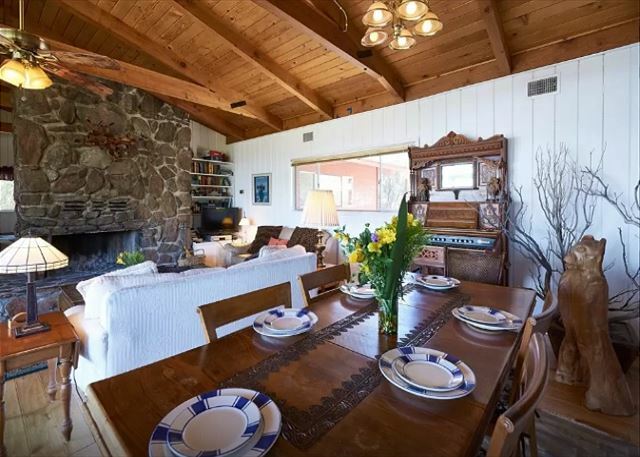 Sunset Perch is a beautiful home that makes a beautiful backdrop for a weekend retreat with a group of friends or family. Book today and make memories with the people who matter! 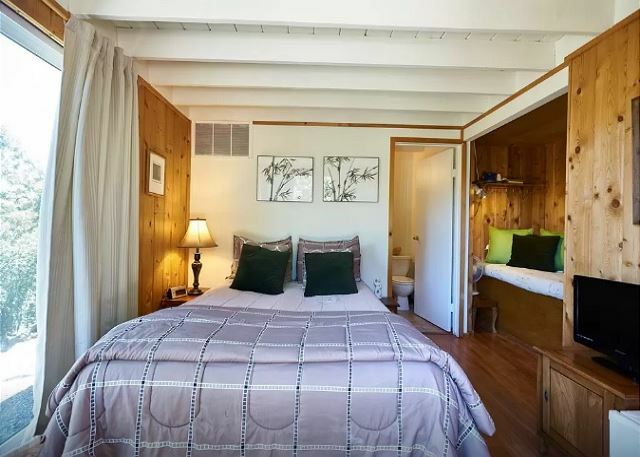 Weekend rate Friday/Saturday is $350.00 p/night. Weekday rate Sunday thru Thursday is $300.00 p/night. Winter Holiday rate $450.00 p/night (Thanksgiving, Christmas and for New Year's, with a 4 night minimum). 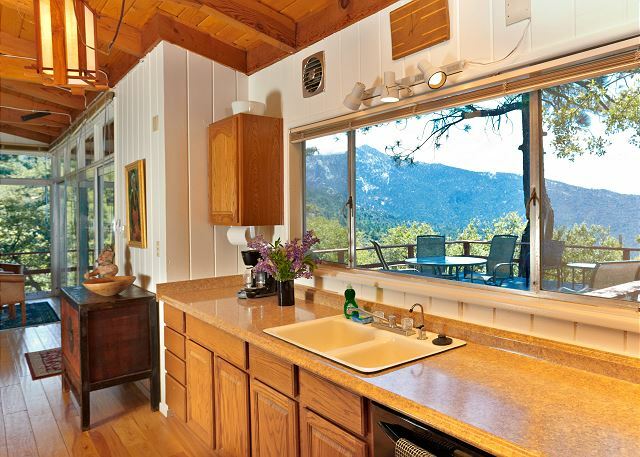 Holiday rate $400.00 p/night, a 3 day minimum may be required. Call us for our weekly/monthly specials. Pets are welcome. Pet fee of $25-35 per pet/per day will apply. Linen/Prep fee $150.00. Great, eclectic rental with lots of outdoor space. The staff at New Spirit was helpful and cheery! Amazing Place, everything worked just fine! We stayed for two days recently and the location was truly amazing. 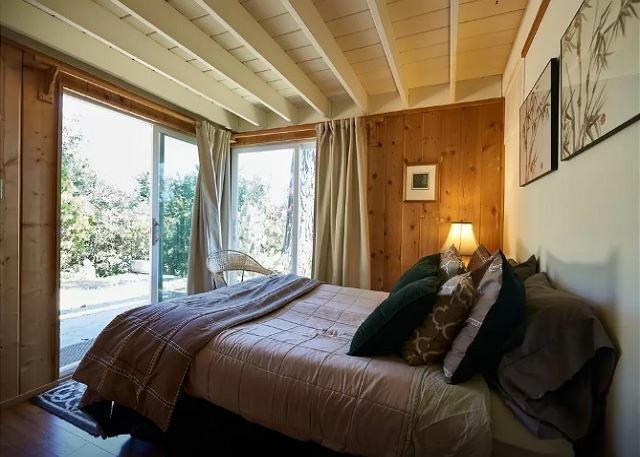 Beautiful views, plenty of beds, and an open floor plan made it feel as if we were in a tree house. Staff was very friendly and answered any questions we had. Definitely will be back. I spent a weekend here and it was absolutely magical. 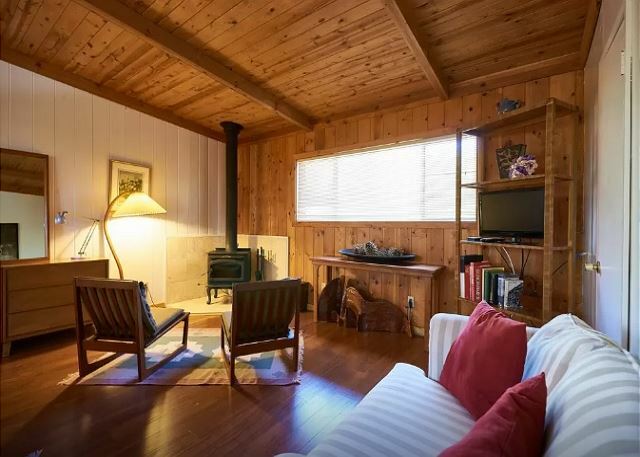 Surrounded by the forest you feel like you're living in a giant tree house. A tree huose with every convenience you could want! I was in town for a wedding and everyone at this company made my stay easy and enjoyable. The location was gorgeous and just what I was looking for. I've already referred friends to this company and will use them again. At first glance the place looks a bit run down and in need of some repairs and sprucing up. I'd suggest a indoor/outdoor true of rug because the deck gets pretty hot on bare feet. Other than much needed updating and minor repairs, we were quite pleased with our stay. Most of the time we cooked and ate on the deck gazing at the amazing views. 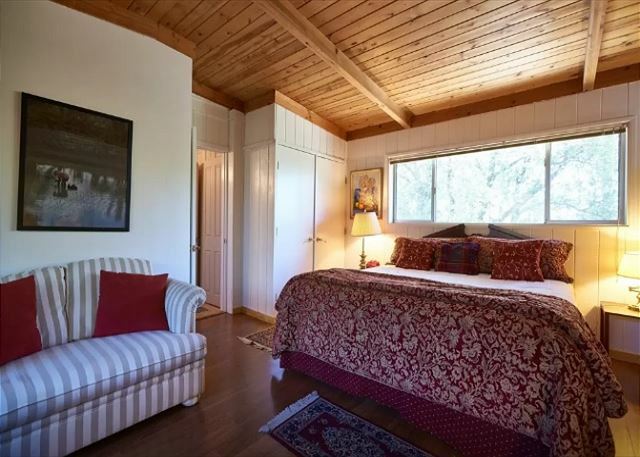 The Master Bedroom was certainly large enough and the bed moderately comfortable. The other two single beds end to end were pretty comfy. The shared bathroom was a bit of a squeeze. I don't think I'd rent the place I planned on bringing more than three people... We didn't use the downstairs bedroom area. 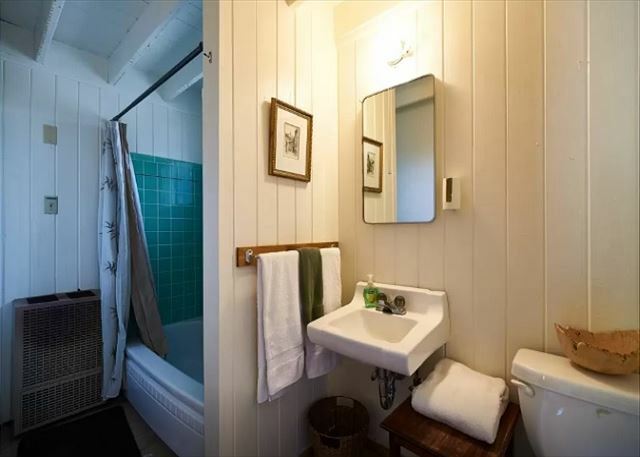 It was cozy and cute with it's own bathroom and bunk bed nook. The bath was "out of order". If you think of this place as a summer camp its just fine. If you're looking for luxury I'd advise to look elsewhere. That being said, I would definitely return for the views, it's pet friendly, spacious, and a 5 min drive to town. The rental company was very friendly and helpful. *thank you so much for your kind words. It was pleasure to have you join us and we truly hope your able to come back soon. 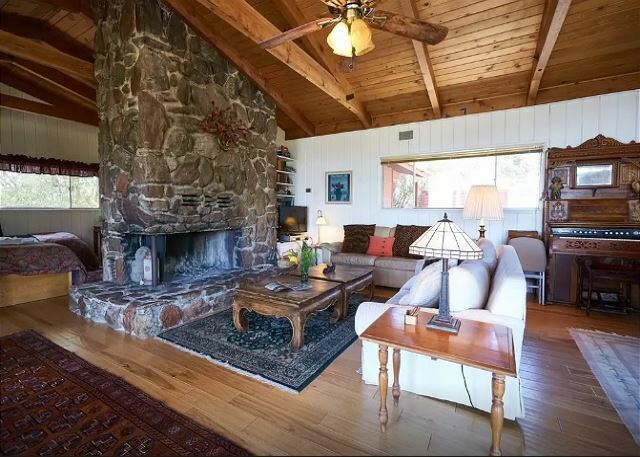 Maybe next time as alternative take look at our wonderful homes in Lake Arrowhead, Greater Palm Desert and Temecula. Our Best Regard to you. Second time staying in this house and absolutely love it!!! !